Plan de la Ville et Citadelle d'Anvers Renomee pour fon ports Comerce et edifices La citadelle est des plus fortes au monde, grave en taille douce par Matthieu Seutter, Geogr. Imperial a Augsbourg. 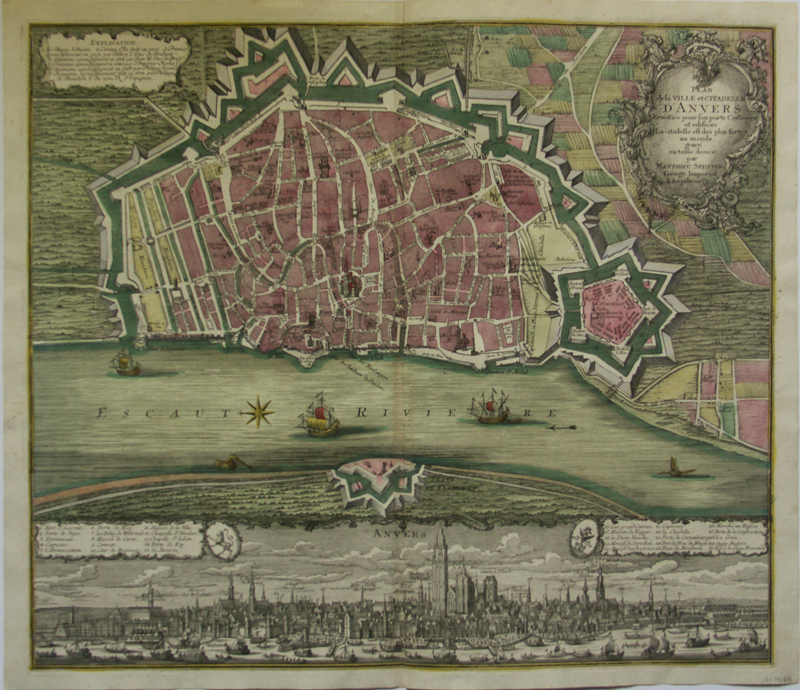 Detailed city map of the city of Anvers (now Antwerp), Belgium, surrounded by walls and moats, from Mathaus Seutter's Grosser Atlas. 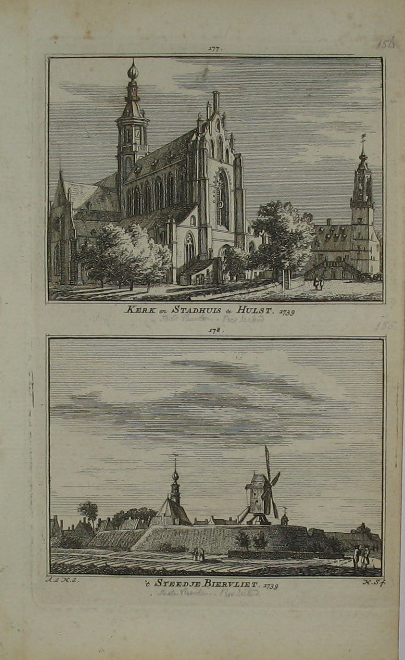 A view of the bustling port of Antwerp in shown in the bottom section. Verso blank.